The Axxair Orbital Fusion Closed Welding Head comes in three models to accommodate a variety of diameters. The smallest head (SATF-40NDHX) can weld down to ¼” diameter tubing, and the largest head (SATF-115NDHX) can weld up to 4.5” diameter tubing. 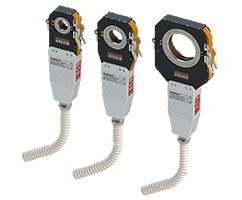 Different size clamping jaws, which are inserted into the orbital welding head, can be bought to ensure proper clamping and adequate shielding gas coverage. The Axxair Orbital Fusion Closed Welding Head also requires a tungsten electrode of a certain size and diameter. The size of the tungsten needed will vary depending on the diameter of the assembly being welded. 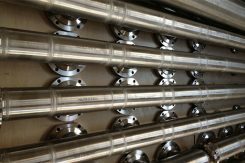 See the specification sheet to determine what head size, jaw size, and tungsten size are required for different size diameters. See the operator manual to learn how to install the jaws and the tungsten. 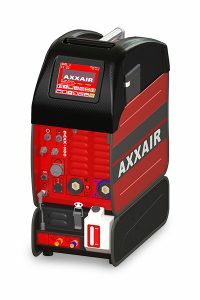 The other part of the Axxair Orbital Fusion Closed Welding System is the welding power supply. The SAXX-200EDGI Orbital Fusion Closed Welding Inverter Power Supply is what delivers the electrical energy through the welding head and out the tungsten electrode that is needed in order for welding to be carried out. The SAXX-200EDGI can be hooked into either a 110V outlet or a 230V outlet, giving the end user excellent flexibility. It can weld up to 200 amps when plugged into a 230 volt outlet and 140 amps when plugged into a 110 volt outlet. The SAXX-200EDGI has a 7.5 inch color touchscreen that allows for outstanding human-machine interfacing. On the SAXX-200EDGI, a user can enter in their application specifics such as diameter, material type, and thickness and have the machine calculate a starting point for parameter development. Gas purge, both through the torch and internal purge through the part, can be programmed and monitored on the power source as well. 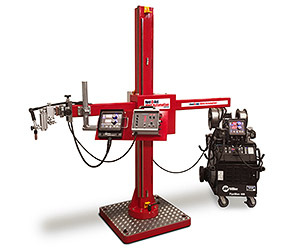 The Axxair Orbital Fusion Closed Welding System can be used in many different industries. Aerospace has many small welded assemblies made out of exotic materials such as titanium. The Axxair Orbital Welding System ensures the oxidation of the titanium will be prevented through the argon-rich environment it creates within the welding head. The oil and gas sector often requires tubing to be welded together to transport fluids. Often times, these are large assemblies that cannot be rotated. 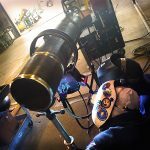 The Axxair Orbital Welding Head allows for 360+ degrees of welding at a constant torch angle without any assembly rotation required, making it ideal for an application such as that. 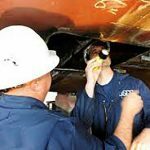 The nuclear industry requires extremely high-quality welds. 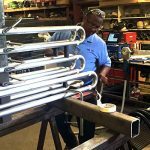 The Axxair Orbital Fusion Closed Welding System lends itself perfectly to this industry because not only does it produce high-quality welds, but it does them on a consistent, repeatable basis that simply cannot be achieved by manual welding. 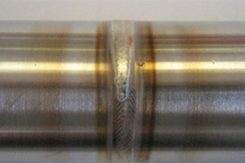 While there are specific industries and applications where the Axxair Orbital Fusion Closed Welding System has already proved itself, its potential to be advantageous in other small diameter tubing applications is vast. Any instance in a small diameter tubing application where skilled labor can’t be found, consistency is key, and quality is of the utmost concern, then implementation of the Axxair Orbital Fusion Closed Welding System should be strongly considered.